Moving house with pets can be daunting both for you and them. 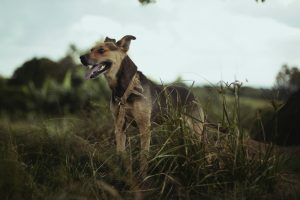 Your pet will be stressed out about the change of territory and you might have a hard time planning and having everything prepared for the moving day. Help your furry friends feel comfortable during the transition and help them feel at home as soon as you move in. – Creating a moving checklist will help you stay organized throughout the move and have enough time for all designated tasks. – Find out which documents are required for transporting your pet to another country. – Schedule an appointment with the vet and make sure your pet is ready for the move. Get vet records, vaccination certificates, interstate health certificates, medical prescriptions,… Have your pet’s health records while you are travelling to your new home. It usually states that your pet doesn’t have health-related conditions and that it received all necessary shots. – Make sure your new environment is pet-friendly and that your new home can accommodate your furry friend. Also, your home should be properly secured so that your pet cannot get away. Remove all possibly hazardous materials. – Take your pet’s prescriptions with you. – Dogs should have rabies’ tags confirming that they have been inoculated against the disease. Some states require that cats have rabies’ shot, so make sure you know the exact requirements of the state you are moving to. – Contact the airline to make reservations. Small animals are usually allowed in with you in the cabin and large carriers are usually transported in the cargo area. If your pet is going to be transported in the cargo area, make sure you are travelling on the same flight. – Make an identity collar tag containing your personal details just in case your pet gets lost during the household move. Furthermore, microchipping is another way to keep track of your pet in case it gets away. – In case your pet needs specific diet, make sure to prepare enough food until you reach a new place and buy food supplies. Running out of some essentials during your long-distance move may be very uncomfortable both for you and your pet, so stock up on supplies your pet needs on a daily basis. – Use sedatives carefully. Consult your vet before deciding to administer sedatives, since most of them have strong side-effects and can make them more upset and anxious. Sedatives are to be avoided if your pet is transported in the cargo area. In case the usage of sedative is necessary during the move, make sure you understand how to administer it. – In case you are driving the moving vehicle, plan exactly where you will stop. Explore pet-friendly hotels, restaurants, bars along the road. Even if you are not planning to make too many stops, it’s a good idea to know where you can pull over, just in case. – Pets shouldn’t be transported in the cargo area of a moving truck due to unstable and unsafe conditions. – Encourage your pet to eat during the big transition. They are likely to refuse food and water, so you need to pay close attention and check their appetite. Offer your pet its favorite food and make sure it is drinking enough water, since some of the sedatives usually cause dehydration. – Stick to your pet’s routine even during the moving chaos. Maintain their sense of security as much as you can by walking and feeding them at the same time as you usually do. – Help your pet get used to the new surroundings and take time to play with it. Adapting to a new home may take a little more time and patience. – Once you settle into your new home, update your pet’s microchip or ID tag.